On this tiny speck of an island travellers might feel more like they are in Greece than on an Italian island. Panarea has a wide appeal for worldwide jet-setters and a charming setting of Greek-like adobe white houses. Its little harbour is filled with moored yachts and receives many tourists looking to spend at least a day on this unique island which blends luxury, beauty and an island charm. 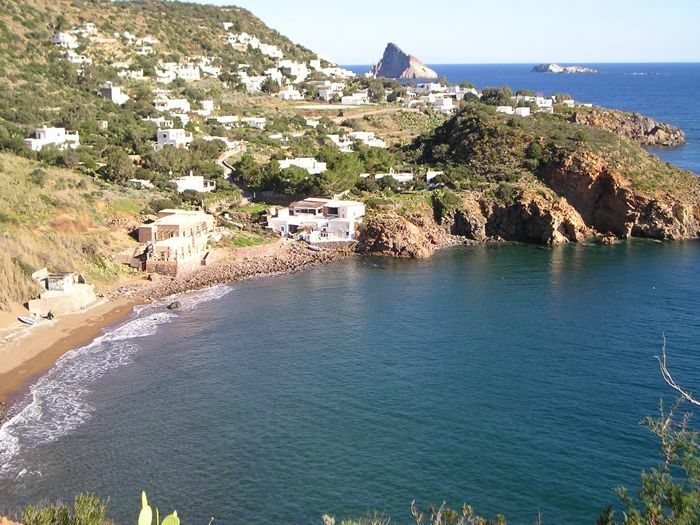 Most inhabitants have set up their homes in Ditella, San Pietro and Drauto which lie on the east of Panarea. The three hamlets overlooking the waterfront do not appear to be separate as the narrow roads from one fuse with the next. The closeness makes for an intimate atmosphere where everyone knows each other and even remember people from off the island. San Pietro is where boats come in and where high priced accommodation can be found. Panarea’s history dates back to the 14th century. In Punta Milazzese, located in the south, are the 23 huts of the Bronze Age Village found in 1948. Those pieces unearthed in Panarea have been taken to the Museo Archeologico Eoliano on Lipari island. Pottery reveals traces of Minoan culture which indicates a relationship between settlers from Panarea and Crete's inhabitants. Cala Junco is also located in Punta Milazzese- a sun drenched beach of crystal clear turquoise waters which is ideal for bathing and basking in the sun. Spiaggia Fumarola is on a signposted road to the north of Ditella and is packed with holidaymakers in the summer. 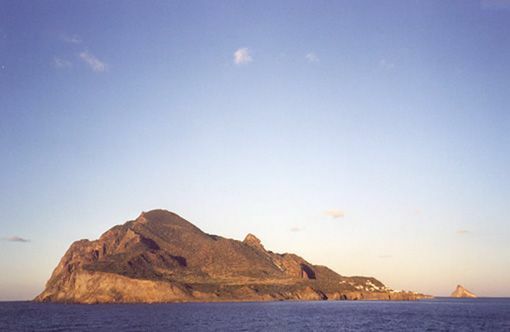 The islets near the east coast of Panarea can only be visited by boat. Basiluzzo is the most remote and is almost exclusively devoted to growing capers. From the island you can see the wreck of a Roman ship, a fascinating sight. Dattilo boasts Le Guglie, a nice small beach. Lisca Nera is to the south of the islet. Bring your scuba equipment because from Dattilo you can head to Lisca Bianca to enjoy wreck hunting. If you don´t have your own gear do not despair as Amphibian on Via Ditella in San Pietro rent out equipment. Lisca Bianca affords a beautiful sandy beach on its south coast . Around the island there is also an old English ship located at a depth of about 45 metres. When high summer season finishes prices fortunately become more reasonable again. Hotel Raya which draws a stylish clientele has an atmospheric restaurant where the quality of the food makes reservations essential. Its swinging disco is also an attraction. Trattoria da Pina off the harbour on Via San Pietro lists a good menu and serves diners on its covered terrace, always busy in the summertime. Da Francesco on Via San Pietro has a delicious menu and nice view of the harbour front. The house special is the spaghetti with mussels. BY FERRY OR HYDROFOIL: On Via San Pietro are the offices of Siremar and Ustica Lines which operate the island. They are situated on the harbour front. Services in the season are to Stromboli (duration: 30 minutes, services: 5 a day), to Salina, Lipari, Milazzo and Filicudi (duration:1 ½ hours, services: 1 a day). BY CAR: they are forbidden and unnecessary as the island is best experienced on foot to make the most of its beauty. Golf carts are the alternative to taxis on Panarea. They are available at the port or can be hired at Paolo & Angela. 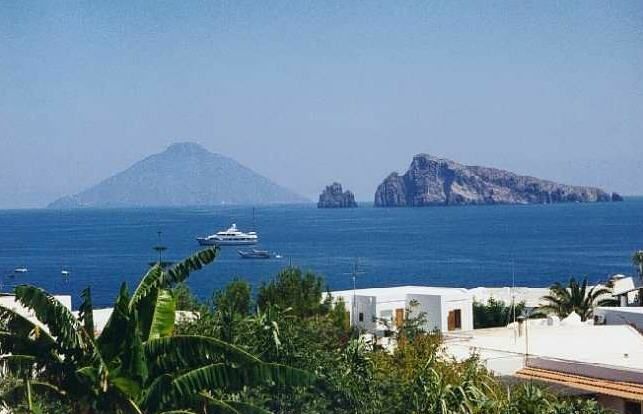 BY BOAT: to visit the whole archipelago of Panarea including its islets, you can hire rubber dinghies, wooden boats or motor boats at Tesoriero Roberto.